Used to be, you could tell someone was over-the-hill if they were hitting you up via email instead of text or Facebook. Now, according to a recent Piper Jaffray survey, the demarcation line has shifted, as Zuck&Co’s popularity seems to be sliding among the teen set. This should surprise no one. Facebook saturation is at an all-time high, particularly among grown-ups. And whenever moms, dads and decidedly untech-savvy aunties start getting in on something, that’s a big sign that teenagers are going to start hitting the exits. In fact, the migration has already begun. 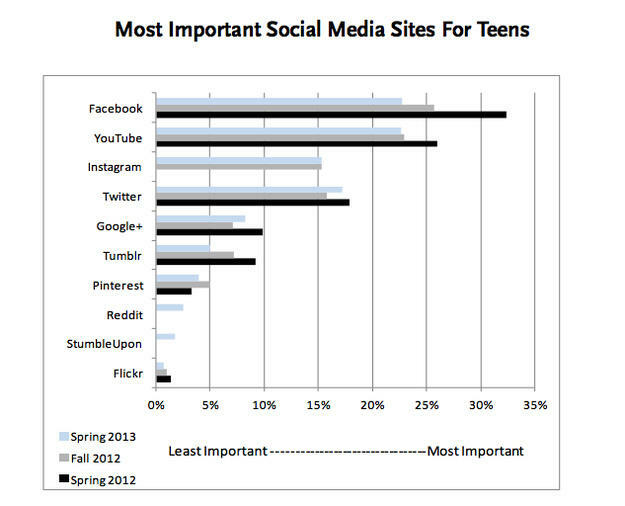 The report reveals 10 percent fewer teens consider the network the “most important” social media site these days compared to a year ago. You’d think that would bode well for competitors, but Facebook’s not alone here. The survey, which polled more than 5,000 teenagers — noted a decrease across the board, affecting major players like Twitter, YouTube, Google+, Flickr and Tumblr. Only Pinterest seems to go unscathed. Near-sighted pundits might look at this and think some sort of social media fatigue is going on, but this is no commentary about how relentlessly connected everyone is. 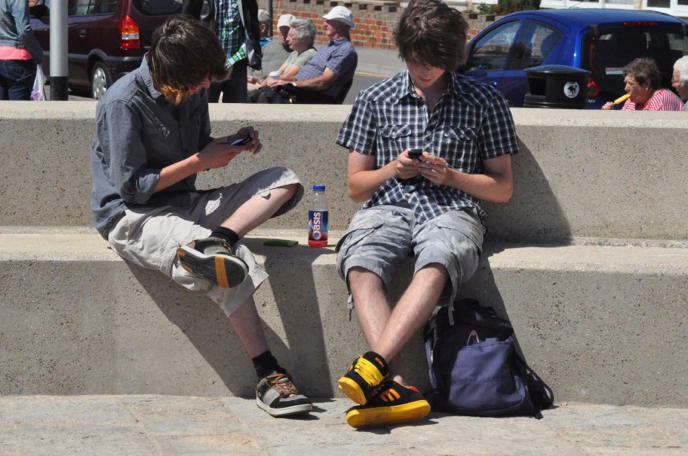 Oh please — if you’ve ever spent time with a teenager, you know they don’t tire of socializing and communicating. They’re just less interested in the profile-driven, “me me me” online ego fest of traditional social networks. So where are they now? Well, it’s not other sites that emphasize endlessly massaged, detail-rich profiles or the spawn that follow in their footsteps. The survey participants wrote in their favorite social sites, some of which aren’t actually social networks as we know them at all. Now, this report doesn’t cover usage statistics — it’s about sentiment — so it doesn’t mean that Facebook, Google+ and the rest are going belly up any time soon. Indeed, we’ll see more than a few more stories about teens and social media hitting the headlines before that happens — like the one about the 14-year-old who accepted her dad’s bribe to stop using Facebook. But, if this poll is any real indication, we might be witnessing the beginning of the end for social media’s bid in the teen popularity contest.